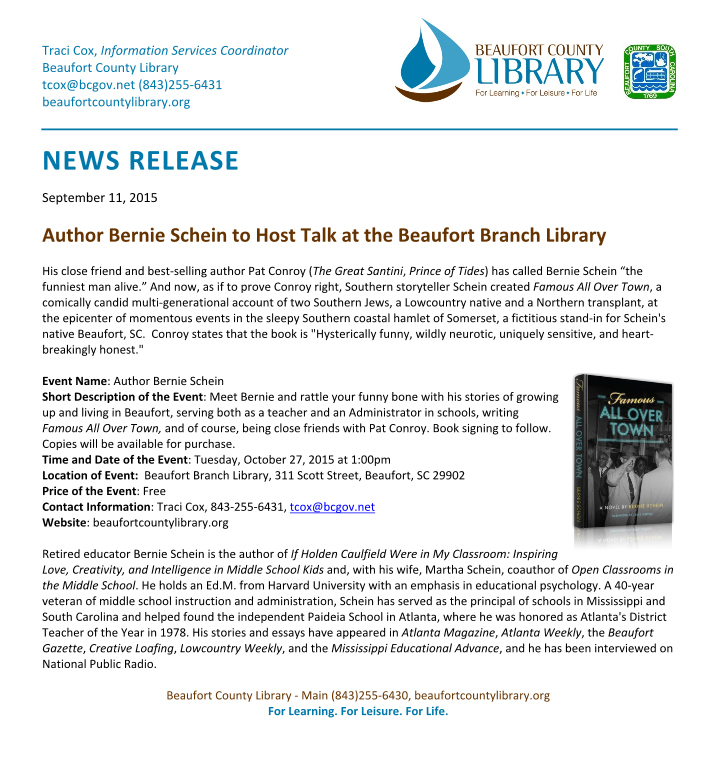 Meet Bernie and rattle your funny bone with his stories of growing up and living in Beaufort, serving both as a teacher and an Administrator in schools, writing Famous All Over Town, and of course, being close friends with Pat Conroy. Book signing to follow. Copies will be available for purchase.